I'm sure we can all agree that January is the worst month of the year for feeling down in the dumps and a little sad. After an amazing festive season it is now time to take the decorations down, the festive food has all disappeared, and we are all left with the fact reality is now back. One thing I love about the start of a new year though, is seeing everyone's resolutions posts. Everyone is leaving the past year behind and focusing all their energy into the next 12 months which is so exciting. I'm extremely excited for the year ahead. I am now in a stable and permanent job, I'm heading off to New York in May with a friend from work for a girly shopping trip and I'm just excited in general to learn new things and better myself as a person. You can read all about my new year's resolutions HERE. Remember to leave me a comment to let me know what your resolutions are. Now that I've concluded that extremely rambly introduction it's now time to get back into the point of this post. Here a few ways to help beat the January blues. Yes I was listening to the Jess Glynn song but that's not the point. I've seen so many posts since January began about people regretting the amount they ate over the festive period and are doing every diet in the world to help them feel better. With all due respect to you all this just doesn't work. There is absolutely nothing wrong with indulging over Christmas. It's the best time of year to do so however sticking yourselves on fad diets won't work. Eat healthier and go by the 80/20 rule whilst moving a little more. We all know diets never stick but there's nothing wrong with eating healthier. Don't feel guilty about having a good time over Christmas. Something I've been doing since the beginning of this year is heading out for long walks and jogs in the mornings. It doesn't have to be ridiculously early but it is just the perfect way to prepare for the day ahead. I always find that heading into the day ahead with a clear mind can help mentally prepare you for the kind of day you're going have. It also gets a bit of fitness in there for the day as well. Where I live there's a massive park with a little nature area and a stream and park and it's just so lovely, quite and peaceful. I could stay in there all day. It also has a little basketball court there as well so if I ever need to vent or take my anger out on something then that is definitely the place to go for me. It just really calms me down and makes me feel relaxed. If there's one way to get really pumped up about the year ahead it's to sit down and write down a list of things you are proud of an have achieved in the last year. A few things that I'm proud of in 2016 was becoming permanent at work and becoming more confident in the role, reaching over 300,000 views on my blog, stepping out of my comfort zone and travelling to new places. There's a lot more things I want to achieve in 2017 and it really does make this year exciting. Now I know it's not called the January Blues for no reason. January is one of those months where after Christmas nobody really has any money and we are struggling to get buy on the little we have left. However, it's that time of the year where all the sales start appearing in the shops and there are some amazing bargains out there at the moment. There's no reason why you can't treat yourself to a new bag or pair of shoes or even a trip to the cinema to see the latest films. I've heard Moana and Star Wars are really good so it's definitely worth checking them out. Yes January is the time where we are all motivating ourselves to be healthier and move more and I know it may be contradicting what I said in the first point I wrote above however as it still gets dark early I see nothing wrong with having a few days of just chilling in front of the TV watching your favorite films and TV shows. If anything it's one thing I'm starting to look forward to on my days off. As I work practically every single day it's a very rare occasion when I get more than 2 days off in a row. I was lucky enough to be off a lot in December and now I am seriously struggling with having days off even if my shifts are shorter. So when I do get a couple of days off in a row I make sure to spend at least one of those days relaxing in front of the TV or my laptop with my favorite TV series or films. It's the perfect way to just relax and is definitely a way to recharge for your next block of days at work. I'm sure that you all know how much I love music. I absolutely love and it's the first thing I turn to when it comes to improving my mood. At the moment there is so much great music out there including Ed Sheeran's two new songs which yes I have had on repeat. I just think if you're feeling low or need a bit of a boost then music is definitely the one thing that will help you. So there we have it. Just a few things that will help you beat the January blues. It is known as the saddest month of the year but hopefully all these things will help you get through the next few weeks of January. Be sure to let me know if any of these things help you. 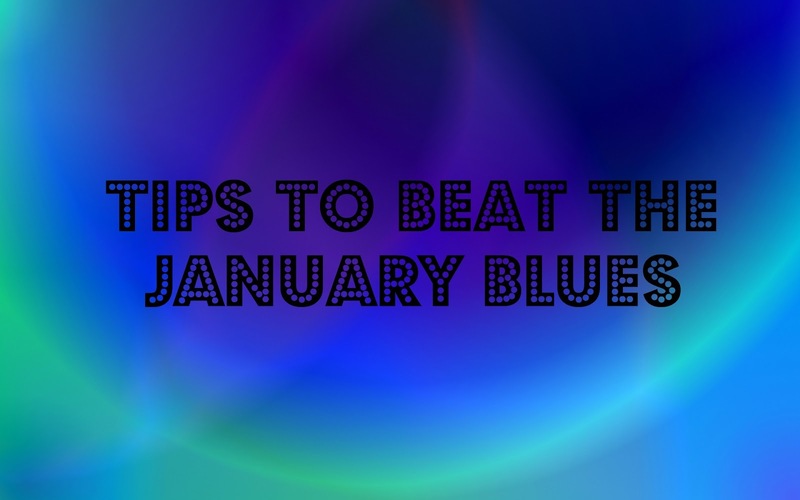 How will you be beating the January blues?